Our experienced E-commerce development team will maximise conversions and enhance your ROI. Starting an E-commerce website is not all that difficult. Being successful is a totally different story. Our web design and development team offers a complete solution for companies seeking to build and establish a professional and effective retail presence on the web. In addition to creating your bespoke E-commerce site, we guide our clients how to better manage and market their online store. Over the years, we have already implemented many E-commerce projects with exclusive aesthetic layout supported by highly-functional features. Let us help you grow sales and build your business 24/7. It is essential for online store owners to understand and utilise “Feature Products” on the website. The most common categories of “Featured Products” are “New Arrivals” and “Bestsellers”. Through “Bestsellers” you will be able to showcase your most popular products to increase sales, drawing customers’ attention is a great method to drive recurring revenue from returning customers. Showing users related products that compliment or are similar to the product page they’re viewing is a great way to increase your bottom line. Using this type of feature can influence users to spend more time and money on your website by showing them products that are like the ones they’ve expressed interest in as opposed to just a random of assortment of products from your website. In addition, implementing social media share features on your product pages so you can leverage customers to share your products to friends and colleagues is a great way to get products that are relevant to an audience’s interests on their radar for the first time. Although users can always do this manually, having social share buttons dramatically increases the chances that someone will share a product with their social networks. Allowing your users to customize their E-commerce experience on your website by giving them the ability to filter through your category pages based on prices, popularity, and more is an essential tool for any website to have. Customers don’t enjoy clicking through endless pages of products, so having a “View All” option is also a good idea to make things easier. To help customers that are interested in a product on a category page, use a quick preview feature to help your customers decide if they want the product without having to click through to the actual product page. It is very important to provide all of your product information, including extensive details about each of your products in a clean, concise, manner. If a customer cannot find all the product information they are looking for, they may be hesitant to complete their purchase. When products, sizes, or colors do happen to go out of stock, allow customers to sign up for reminders when the product they were interested becomes available. This way they are less likely to go to a competitor, and it shows that you care about meeting their needs. It’s essential for any successful E-commerce site to avoid using a single or flat rate for shipping. Different customers will want different shipping mods – some want their products to arrive immediately and others are fine with paying less for slower shipping. Since the checkout process is a significant investment of time and effort, allow customers to calculate the shipping costs directly from their shopping carts before they start going through the checkout process. Reaching the right audience with the right messaging makes a difference; it’s about making the relevant offer at the right timing. You have to know who your customers are, how do they choose and compare products, what benefits/gain they looking to get out of your product/service, and the list goes on but it’s imperative to get this data well researched and sorted out. After all, what’s more important? Traffic or conversions? And conversions will naturally occur when the targeted traffic meets with your relevant offer. Next to follow after knowing your audience inside out is getting them to buy. 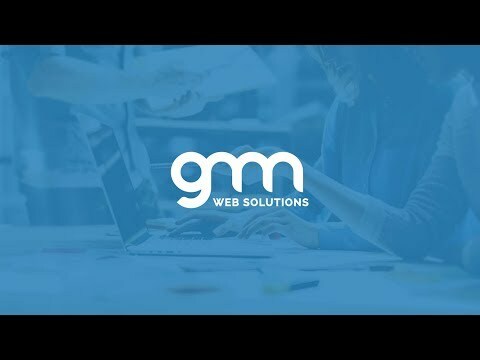 This is where GMN Web Solutions comes in. We will design subtle yet effective calls to action by suggesting, linking, up-selling, cross-selling your products. This way, your customers will spend more time and as a result, more money on your website. Additionally, we will create social media share features on your products to enable your customers to become your indirect yet powerful word-of-mouth sales channel. To minimise shopping cart abandonment, a dynamic and effective checkout process with minimal steps needed on their part e.g. saving their credit card details, ease of calculating shipping costs, single-page shopping summary and even ’Save for later’ option will yield higher chances of securing the sale. For example, your homepage should entice users to click through to your categories, or better yet, straight through to a product page. From there, your product page should answer any lingering doubts users might have and convince them to make a purchase. Your shopping cart page should simplify the checkout process and have a feature like a follow-up email that reassures shoppers that the transaction was successful. Keep this in mind when planning out the various types of pages that you’ll have on your E-commerce website. If you don’t display your contact information visibly for your customers and they have to search your site for contact information, it could lose you a sale. Besides listing your location and phone number, you can also provide FAQs, product reviews, or comments for users to read, as well as user-generated content like customer testimonials that highlight satisfied customers of your products. A website is only a helpful E-commerce tool if it is functioning correctly. If you require more features like Mobile Commerce, Products Customisation or more, we can match up! Our strength lies in customising a complete digital solution supporting your business needs. We have already implemented many E-commerce projects with exclusive aesthetic layout supported by highly-functional features. More importantly, we provide post-launch technical support to your internal team to ensure optimum performance of your website.